I am a sucker for a good grilled cheese sandwich. The Bread – The bread must be something crusty, a little rustic, and cut no thinner than 1/2-inch thick. I like country Italian bread best, or a French baguette. The Cheese – When it comes to cheese I prefer REAL cheese, never cheese wrapped in a goofy plastic sleeve, and I like it roughly grated for melting into nooks and crannies. The Butter – I like a lavish coating of butter, salted please, on the bread so you get a golden brown crust that has a satisfying crunch. 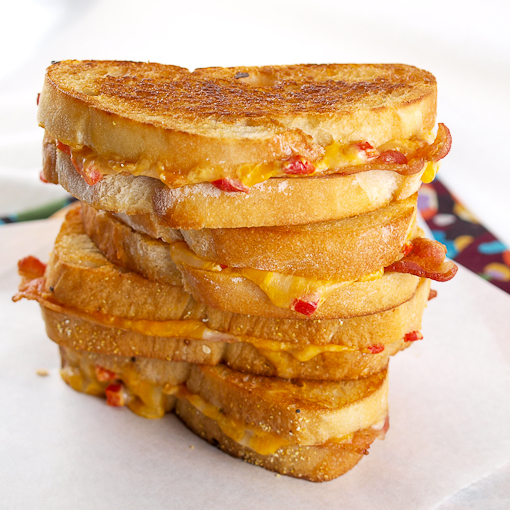 The Add-Ons – I generally like a little extra something to spark the flavor of my grilled cheese. Dijon mustard, mango chutney, and caramelized onions come to mind. I am from Texas, and here I think all babies are born loving pimento cheese. 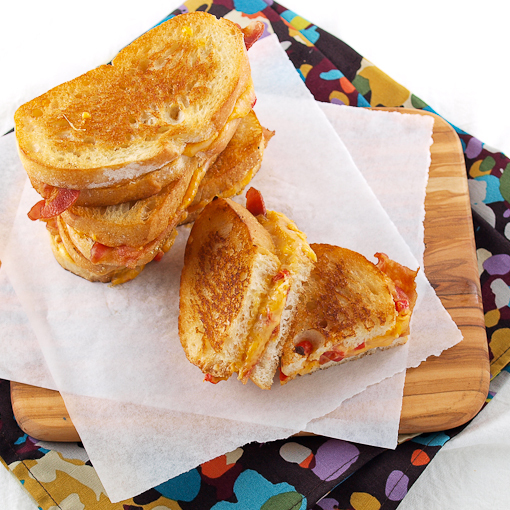 The creamy blend of mayonnaise, shredded cheddar, and earthy pimentos is belt-bustingly good. So popular is this spread that is has been showing up in grilled cheese sandwiches for a long while now. 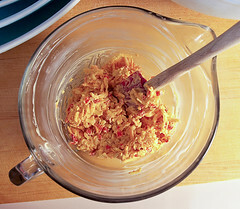 I make my pimento cheese a little differently – like most things, I do it my way. First, I use a mix of cheeses, at least one of them smoked. Second, I add a hefty dash of the wonder sauce known as sriracha. 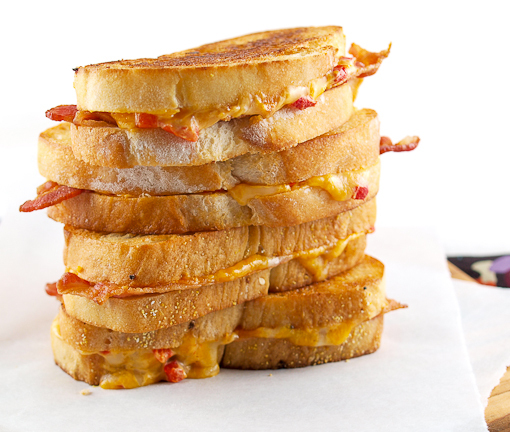 Spread my pimento cheese into a grilled sandwich with a little crisp cooked bacon and you have what I can only describe as ‘instant crack’. This makes a great addition to a party (football watching parties comes to mind), and these can also be made on the grill for tailgating, just make them up in advance and grill them when you are ready! 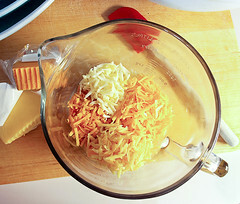 In a medium bowl combine the shredded cheeses. 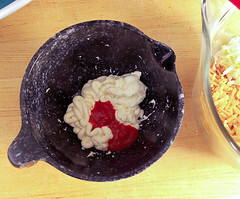 Next, in a separate bowl combine the mayonnaise, cream cheese, sriracha, and Worcestershire sauce. Whisk until the mixture is well combined and smooth. 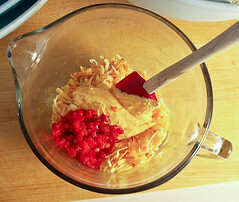 Add the mayonnaise mixture into the shredded cheese along with the drained pimentos. Mix until the cheese is evenly coated and the pimentos are well distributed, then cover with plastic and chill for at least 1 hour, or up to 3 days. 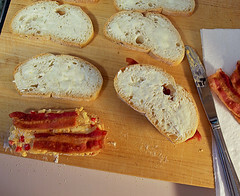 While the pimento cheese chills cut the bacon slices in half and butter one side of each slice of bread. 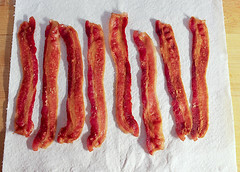 To prepare the sandwiches start by heating a heavy skillet or griddle to medium heat. 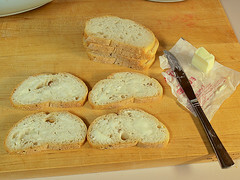 Place eight slices of the bread butter side down and divide the spread evenly among them. Spread the pimento cheese evenly over the bread, making sure to reach the edges so you get lots of gooey drips, and then place two bacon halves on the cheese. Top with a bread slice, buttered side up. Place the sandwiches into the hot pan and grill until the bread is golden brown, about 1 to 1 1/2 minutes. 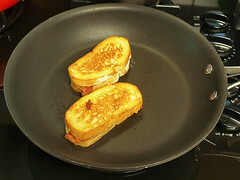 Carefully flip the sandwich and griddle for 1 minute more, or until the second side is golden. 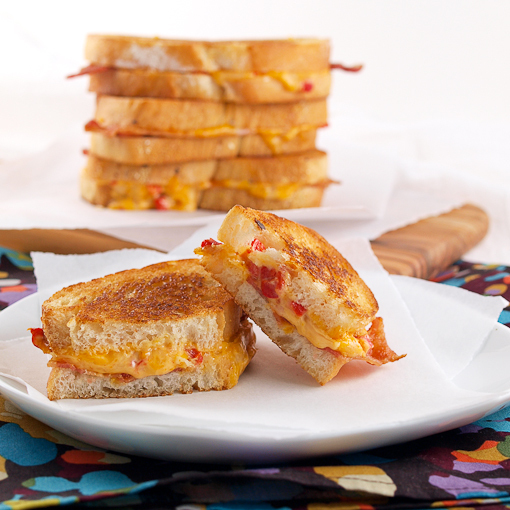 The pimento cheese melts fast so keep an eye on it. Allow the sandwiches to cool for two minutes before serving.